Univision ranked No. 1 network among key demo in July sweeps - Oh No They Didn't! 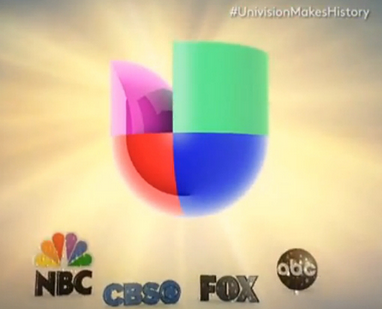 For the second year in a row, Spanish-language television network Univision nabbed the No. 1 spot in prime time among 18-to-49-year-old viewers during the July sweeps. Univision Communications said its flagship Univision network outpaced its English-language competitors during the prime-time hours among the demographic group most important to advertisers. Univision Chief Executive Randy Falco said maintaining the No. 1 position for two consecutive July sweeps "validates our strong position in the industry amidst increased competition." The company also said its station in Los Angeles ranked as No. 1 most watched station in the country during prime time and throughout the day among the key demographic. Its New York station ranked second. In years past, the major broadcast networks largely hung a "Gone Fishing" sign during the summer months, content to run repeat episodes of their scripted dramas and comedies. But last year, CBS found great success running scripted originals during the summer with "Under the Dome," and this year added more originals. Show's the importance the Latin@ community is starting to play in America, SAY! Telemundo has them on a lot of their soaps (or at least they used to). I had a brief but serious addiction to Telemundo.